Workrate, Amsterdam, Netherlands | itelligence, a.s.
As an experienced SAP partner, itelligence has given us excellent advice in getting the most out of SAP Business ByDesign. 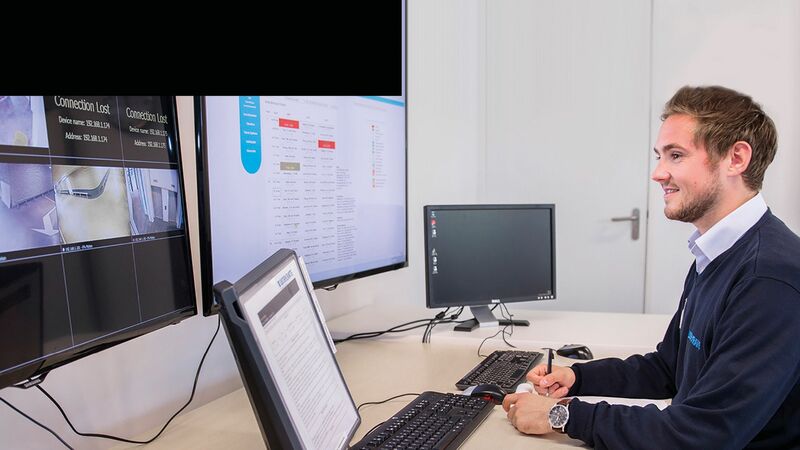 Today Workrate is the market leader for best-of-breed security solutions for data centers in the Netherlands and the company has great ambitions, aiming at expanding across Europe. Workrate’s more than 600 employees generate annual sales of about EUR 10 million. Read about how Workrate will expand in the future and support data centers in Germany, England, Ireland, and Switzerland by making use of SAP Business ByDesign. Workrate provides state-of-the-art security solutions to data centers. Although the organization already leads the Dutch market, it has greater ambitions: to expand across Europe, supporting data centers in Germany, England, Ireland, and Switzerland. To quickly establish itself abroad, Workrate was seeking a flexible invoicing and administration solution that could easily connect to its proprietary time registration system. “We wanted to support our rapid growth in Europe and integrate new offices into the central administration system in Amsterdam,” explains Workrate CFO Stephan Rommelse. However, according to Rommelse, the organization’s existing solution was not able to support this growth. So he and Workrate turned their attention to SAP Business ByDesign, which offers the flexibility and scalability they needed. Workrate then opted to bring itelligence on board as implementation partner. Workrate formed an instant bond with itelligence, with Rommelse claiming: “We immediately clicked with them. They explained clearly how we could use SAP Business ByDesign to lead our growth ambitions in the right direction.” Moreover, thanks to predefined settings and SAP’s international support, the project was carried out quickly and within budget. Workrate’s existing investments are not wasted. The solution’s mobile functionality means Workrate’s employees can perform tasks on their own devices, eliminating the need for additional hardware or system administrators. quick upgrades via SAP, meaning it is always compliant. Workrate’s new system also affords it the flexibility and scalability it desired. 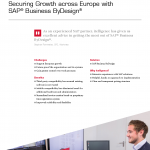 “SAP Business ByDesign and itelligence have developed an ERP system that corresponds perfectly with the needs of our organization,” enthuses Rommelse. Sensus B.V., located in Roosendaal and Zwolle in the Netherlands, processes chicory root to extract healthy ingredients such as inulin and oligofructose.